Ayurveda as a way of life prescribes remedies for many of the modern-day problems. Daily life regimen as per Ayureveda are : keen observation of one’s own body, proper exercises, seasonal food habits, control of senses, the art of living, patience, perception of all creatures and constant interaction with God and people. As a System of Medicine, Ayurveda eliminates the fundamental causes that produce diseases, rather than merely treating the outward symptoms. Thus Ayurveda ensures long-lasting health and happiness without leaving behind any harmful side effects. The principle of treatment in Ayurveda focuses on restoring the normalcy of functioning of the systems by employing various methods. It is a process of changing the condition through a series of steps and thereby re-establishing the equilibrium of the “doshas”. 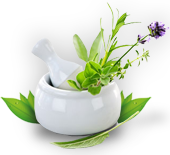 Treatments at Amba Ayurveda focus on several aspects, including the patient’s physical condition. According to the Ayurvedic system, bodily health is determined by three biological principles, called ‘Doshas’: Vata (air), which regulates movement; Pitta (fire), which regulates metabolism; and Kapha (water)., which regulates structure. "Ayur" means life and "Ved" means knowledge (knowledge of life.). Some conditions we treat are as follows: Kaya Chikitsa (General Treatment), Bala Chikitsa (Pediatrics), Urndhanga Cikitsa (ENT & eye diseases), Graha Chikitsa (Psychiatry), Salya Chikitsa (Surgical procedures), Visha Chikitsa (Toxicology), Rasayana Chikitsa (Geriatrics) and Vajeekarana Chikitsa (Aphrodisiac Treatment).